This short sword would be a perfect gift for anyone. It can be used very well as a letter opener. 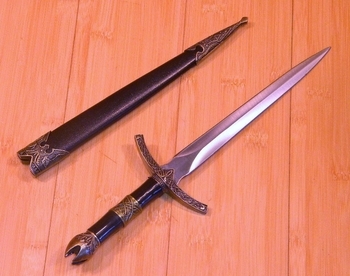 It comes with a black metal scabbard with a black and gold design on the handle. The decoration is very ornate. ▪ Overall Length: 12" In Scabbard: 13 3/4"